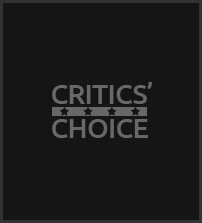 You are browsing the archive for Annabelle Archives - Critics' Choice Awards. Film Critic Patrick Stoner interviews Talitha Bateman and Lulu Wilson about their new roles in Annabelle: Creation. Film Critic Patrick Stoner interviews Anthony LaPaglia and Miranda Otto about their new roles in Annabelle: Creation. Film Critic Jim Ferguson interviews Talitha Bateman and Lulu Wilson about their new roles in Annabelle: Creation.